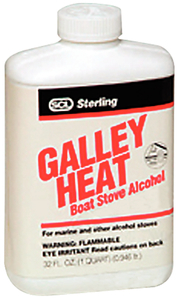 Boat stove fuel for marine alcohol stoves and chafing dishes. Burns nearly invisible, smokeless flame and low odor. Not for charcoal cookers.